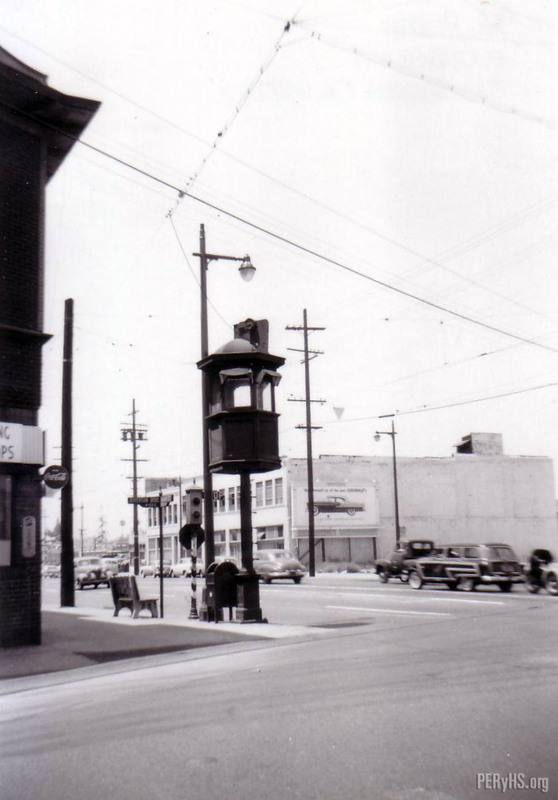 A view of the observation tower on Jefferson Blvd. This was at the south east corner of Jefferson at S. Main Street. The sidewalk is still configured in an odd way to accommodate the rails. The billboard on the building across the street shows an ad for a 1955 Chevy, thus dating this photo around that same year.